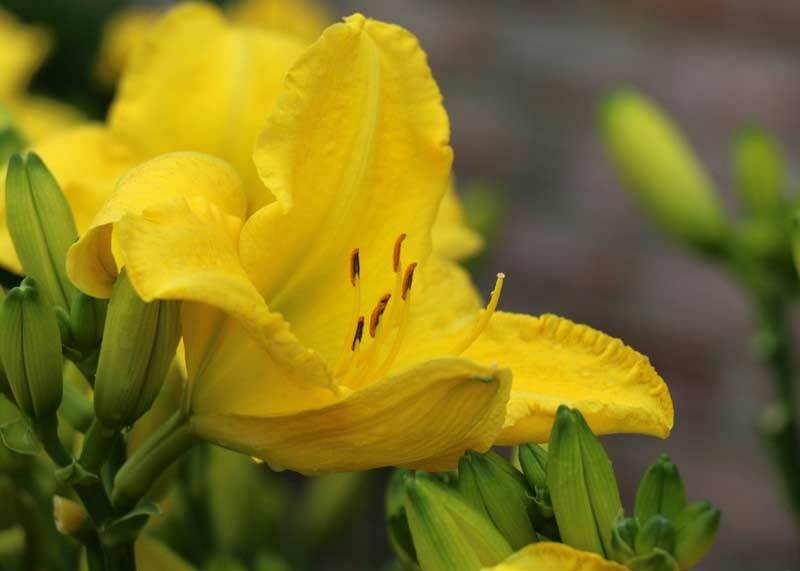 Bright yellow blooms with wide, ruffled petals. 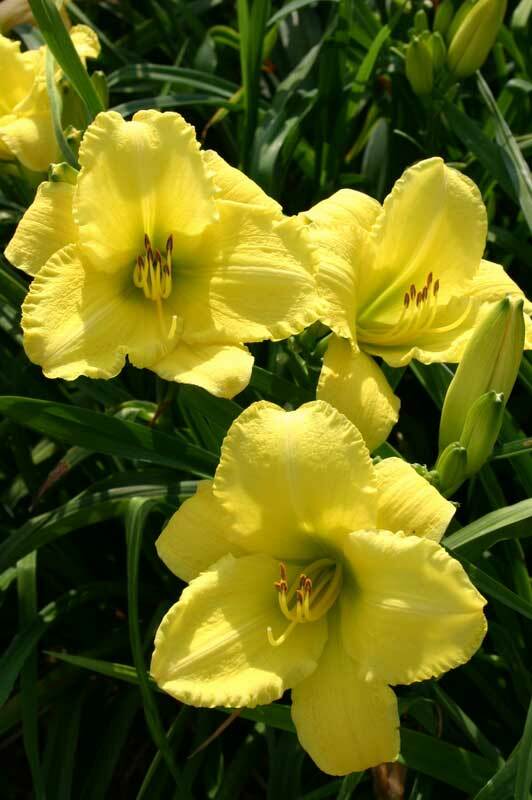 One of our favorites for bright carefree color, and popular with our garden visitors. Often sends up rebloom scapes before its first scapes have run their course. 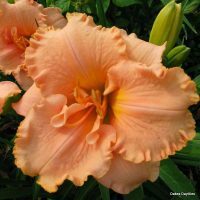 This daylily makes a big bright beautiful statement it’s ruffled blooms are over 7 inches. I planted several clumps of Good Impressions and 2 1/2 months later it started blooming and just didn’t stop…. I had a little over 3 weeks of blooming in over 100 degree heat and 80 percent humidity. The larger clumps had 5 blooming scapes at a time and the smaller clumps had at least 3 blooming scapes. I gave it a good base of Alabama clay…lol….black kow, peat moss and crushed egg shells. Watered it 3 times then let Mother Nature take it from there. 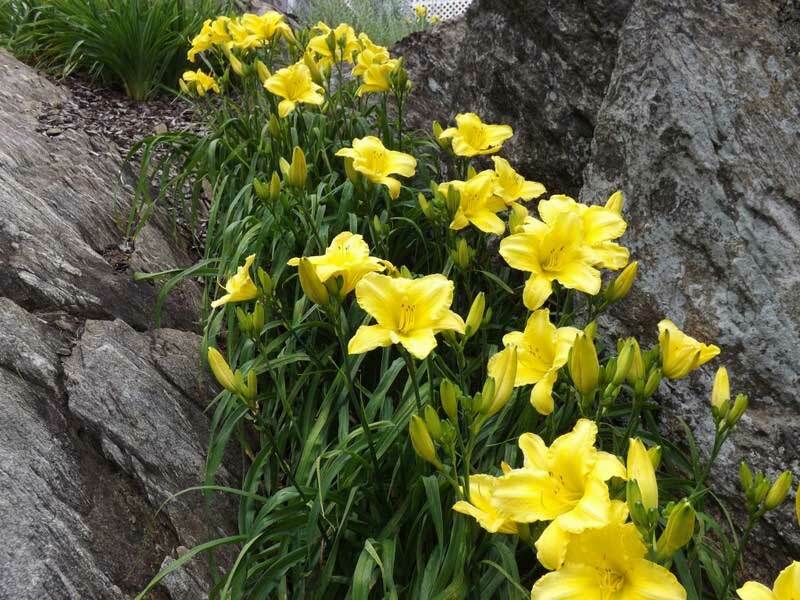 I will be ordering more Good Impressions to plant behind a large group of Stella’s the alternating height , bloom size and the color difference of bright yellow and yellow gold should be amazing. I can’t wait for next summer!!! 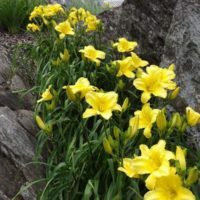 Oaks daylilies is the gold standard in the daylily community! They send large clean healthy clumps! 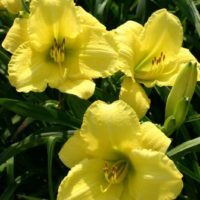 This is my first year ordering from them and I will never purchase a daylily from another company. Gosh, these beauties have great big bright yellow blooms and seems like I have to share a big clump every year! 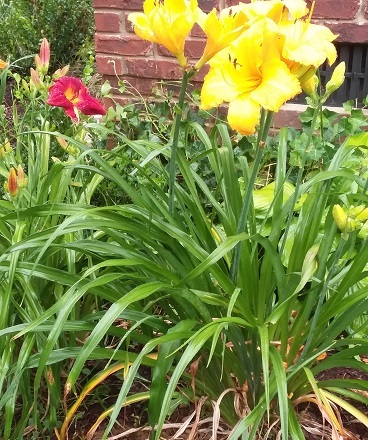 My first daylilies were yellow and I’ve moved twice. These are the only true yellows I have left and I so look forward to their happy faces each year. They stay a long while too! I planted 3 of these in a row in the spring of 2016 in my Zone 6a garden. All are very healthy sporting big lush foliage, but only one has bloomed (despite the huge leaves, the other ones don’t even have scapes yet). But oh!!! 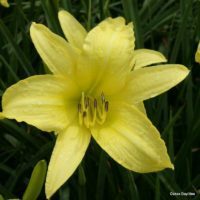 What big ,bold, bright yellow blooms that just pop! They’re so big they dwarf the Mexican Maiden blooms behind them both in size and vibrancy. (I will need to do some rearranging) I have them planted on a slight slope adjacent to a chicken coop pen and am theorizing that the excessive nitrogen from the decomposed pen “fluff” runoff may be the culprit for the lush leaves but no flowers. Same thing happened to the Mexican Maiden planted behind them: only one of those three flowered as well. Regardless, this lily has made a great impression for the first year and a favorite. Looking forward to seeing them all bloom together!!! Great bargain! 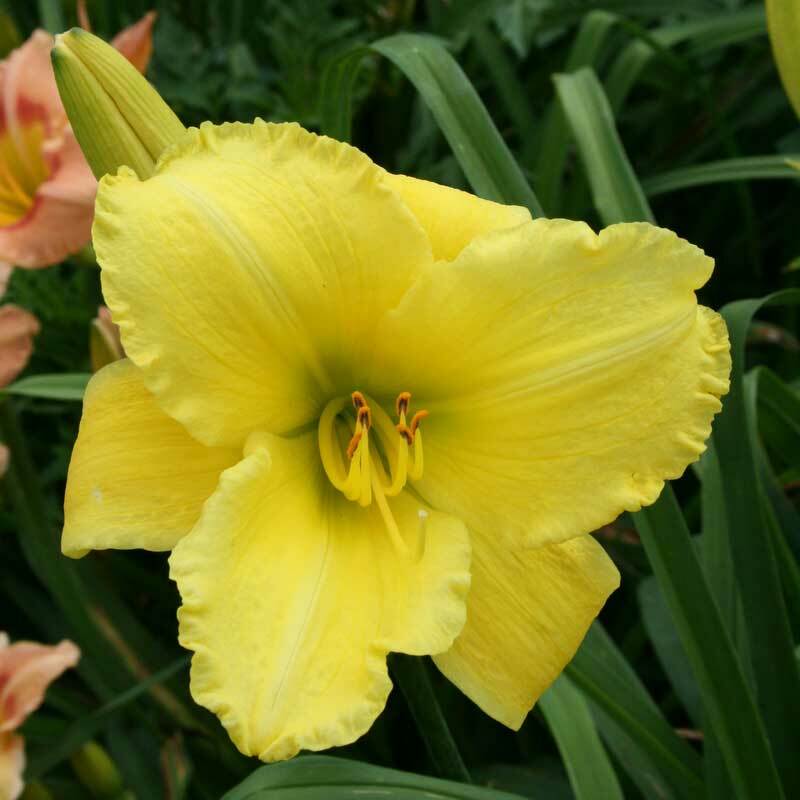 Good Impression is the perfect name for this beautiful daylily. The color is definitely bright. It stands out on sunny and cloudy days. My blooms are all 7″ to 7 1/2″ across. Simply stunning and an excellent price point. Beautiful yellow. Been a really good bloomer with sturdy scapes. Love it. I believe the blooms are larger than 6″. I have had Good Impression in the ground just a month, and already she is sending up 2 scapes with multiple buds! I can hardly wait for her to bloom. 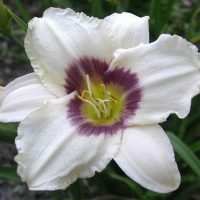 At this bargain price, you cannot go wrong with this lily. This lily is a “10” in my book! No one could just walk past this bloomer without stopping to admire her. I love her pretty cheerfulness. A prolific bloomer for me. 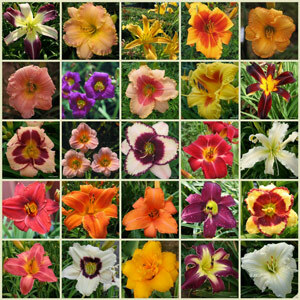 I love this daylily! Huge blooms, grows well, even in the heat of summer. I have it planted in front of red Knock-out Roses and it makes a nice combination. 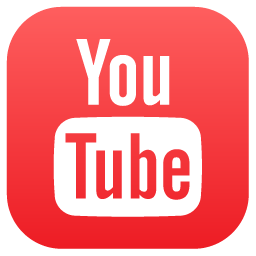 Please don’t ever get rid of this one! This the first year I’ve had this one, and it looks great paired with chartreuse colored sweet potato vine. 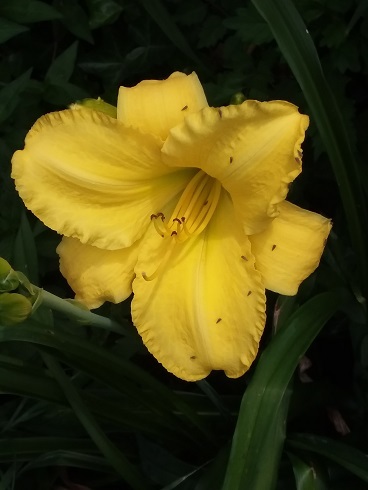 One of the most beautiful yellow lilies I have, it just keeps blooming everyone that visits wants one.I just love it. Very appropriately named. I am delighted with this one. Huge blooms and this is it’s first year in my garden. This is a great bargain! Excellent color. Great multiplier and lots and lots of blooms over a long season. The yellow color and large size to the blooms really stands out!!! This is another great yellow. So many blooms and each one so perfect. At this bargain price, you can’t go wrong. 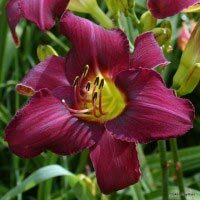 The good impression is one of my top picks for first time daylilies lovers. I have these planted along my driveway and they are show stoppers. It looks just like the picture. A huge bloom of gorgeous yellow. I love to go check this one out every morning before I leave for work. This is 10+! 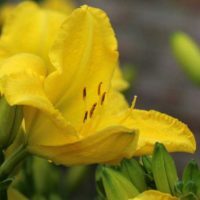 It has gorgerous lemon yellow blooms that are jumbo size. It is also very fragrant. It really demands your attention. I recieved this variety from Oakes as a bonus and am tickled with it! I just planted these about 8 weeks ago and they have already increased and are blooming on 3-4 scapes on each plant. Extremely vigorous, fragrant and beautiful. Highly recommended!